Studio Z Flowers, an organic floral design studio located in Paonia, CO is framed by mountains and the desert landscape filled with flaming sunsets and quiet dew filled sunrises- these are just a few images that inspire our floral designs.We are committed to the Slow Flowers movement http://www.slowflowers.com and sustainable floristry by using the highest quality, vibrant and soulful material from Zephyros Farm and Garden http://www.zephyrosfarmandgarden.com and other local flower farms first before sourcing flowers elsewhere. We are passionate about our job as designers and are committed to providing the most exquisite floral designs for each event. We also strive to provide an exceptional experience for our clients with our attention to detail and customer service. We are available throughout the Rocky Mountain West and beyond. Daphne has been working with plants and flowers for over 20 years. Her long term love affair with flowers and design flourished during her time in Europe. The culture of gardening and floral design truly took root and has grown ever since! 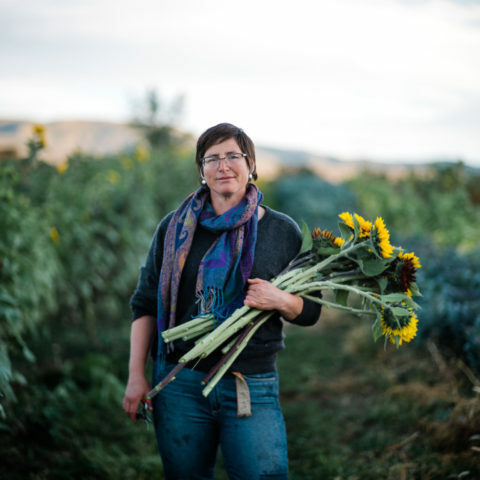 From Europe to the Northern coast of California all the way to the beautiful high desert of Western Colorado she has followed her passion for plants through nursery work, landscaping, farming and floral design. Nature, in all of its beauty, through structure, color and form have helped to guide her design aesthetic. Don approaches his designs from the ground up , nurturing the seeds and plants in the soil all the way to the design. 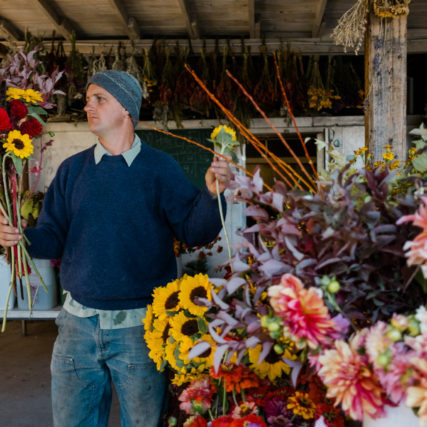 A true farmer florist, his skills have been developed while working on the farm for over fifteen years of making bouquets and arrangements. His love of the diversity of plants on the farm is what inspires him. Don’s specialty is his attention to the details for each event, making sure everything goes off without a hitch. Dealing with all the intricacies of outdoor weddings in Colorado is a skill that he enjoys bringing to the table so that everyone’s dreams can become a reality. Every great production takes a group of highly talented individuals all working together toward manifesting a vision. Our team begins with those who help grow and harvest the flowers, to those talented artists who have worked with us for years making beautiful designs with heartfelt passion. We appreciate each individual for what they contribute and have confidence in all the people who work with us in order to make your event the very best.